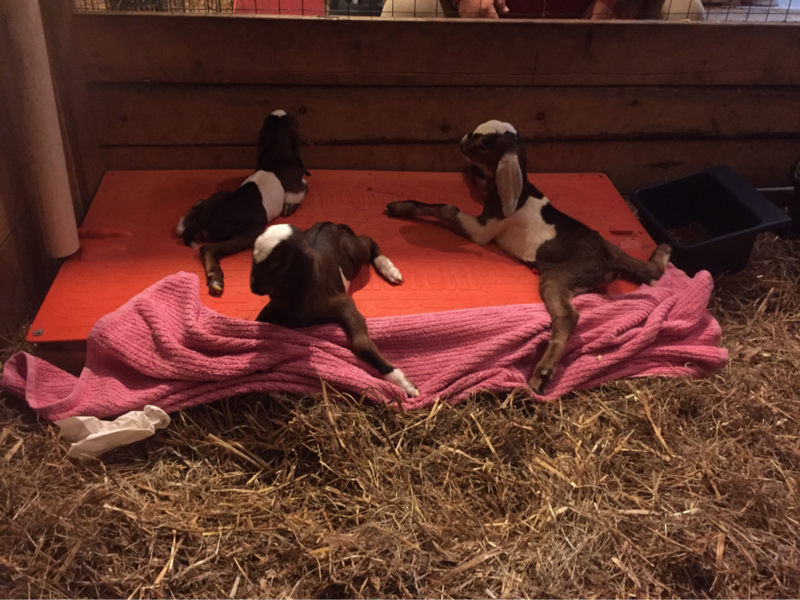 The first babies of the 2017 season arrived today. Of course they are still 2016 babies so whatevers. Cute little kids, two bucks and one doe. Blissberry C Valley Girl and Goldthwaite Coney Island. 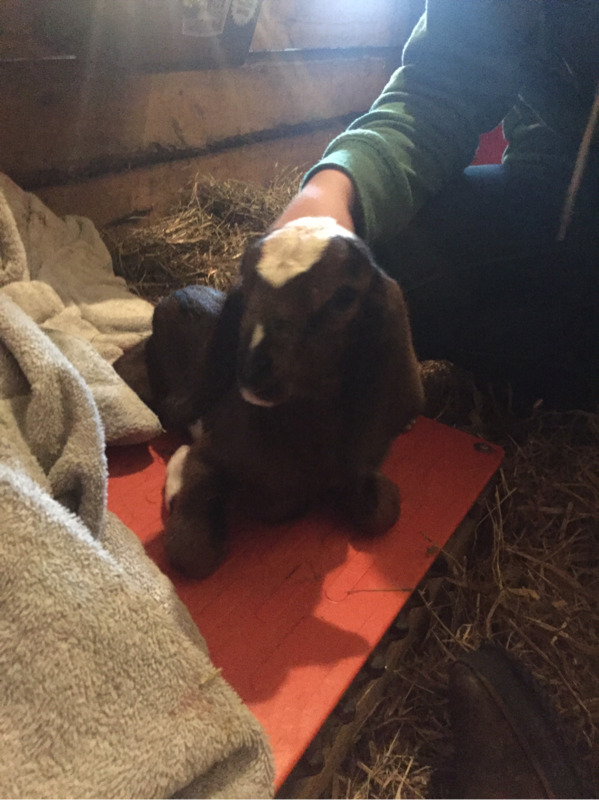 She was due on Thursday 12/1/2016 so we started today getting the kidding stall ready. This afternoon it became apparent we were none too early with our preparations. This is our first Doe from Blissberry C Valley Girl after a run of 5 buck kids! The Bucks will be on the sale page soon since we kept a Blissberry C Valley Girl buck kid last year. I hear it all the time, "Show goats don't milk" and I'm here to tell you that doesn't have to be the case. Of course a doe traveling almost every month of her lactation won't generally be a top ten contender but it shouldn't dry her up and shorten her lactation to 3 or 4 months. Our goal is to show every chance we get and have does that milk respectably well for us between times. In my previous post I lamented that the best dairy diet isn't readily available here but in spite of the busy show schedule and average meals the girls of Hardwicke are getting it done. 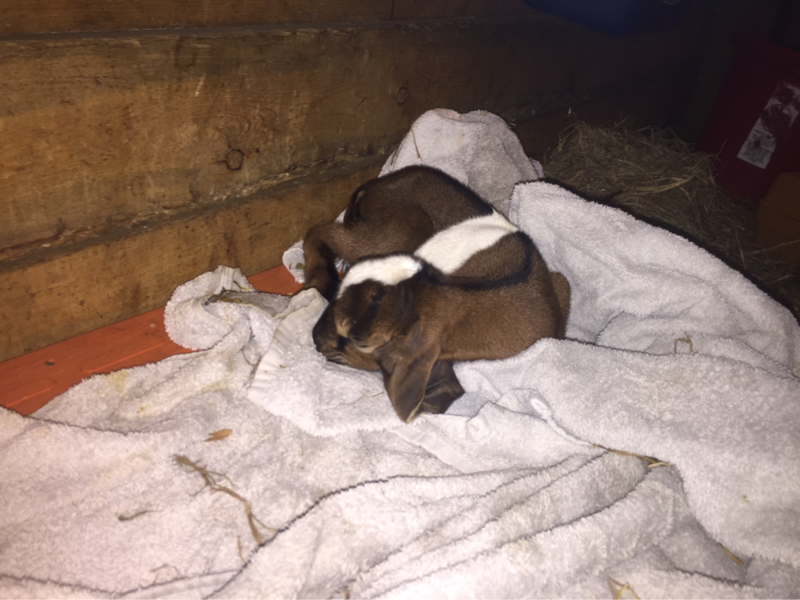 Raising dairy goats in the south, especially on the coast is not for the faint of heart. Our soils are very sandy and not conducive to growing the types of pasture grasses widely available in the rest of the United States. My location near Savannah has generally poor soil quality, close proximity to the ocean, and extreme high temperatures. 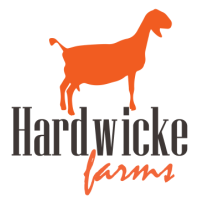 We feed hay and concentrates to every goat on the farm year round. I'm always looking for good hay that can be sourced semi-locally but offers the best feed/cost value. 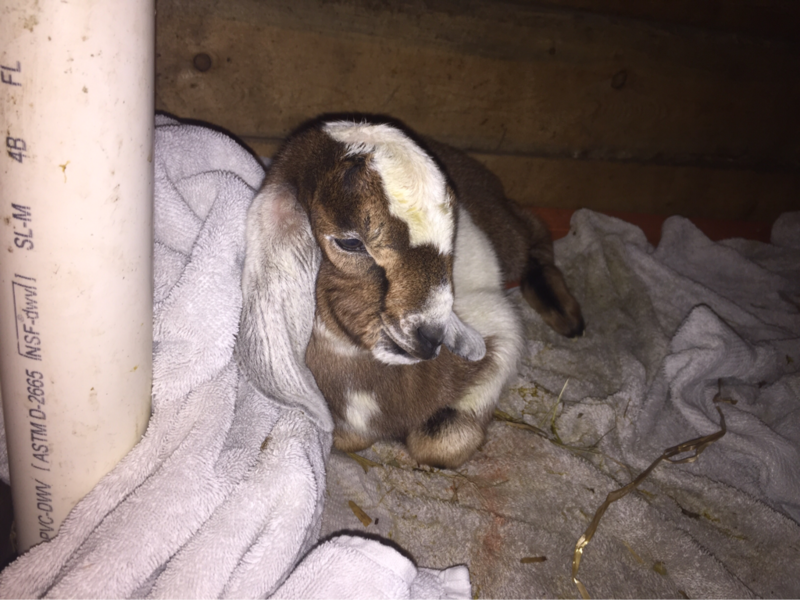 The gold standard for feeding a dairy goat to her maximum production capability is a good supply of alfalfa hay with a dairy goat formulated concentrate on the milk stand. The really great alfalfa is grown out west and has to come to us by truck which doubles or triples the final cost. The University of Georgia developed an alfalfa known as “Bulldog” that is awfully stemmy. My herd has generally been put off by the stems of the bales we have tried and the waste percentage increases the cost-to-feed to levels to that of the alfalfa that has to be trucked in. 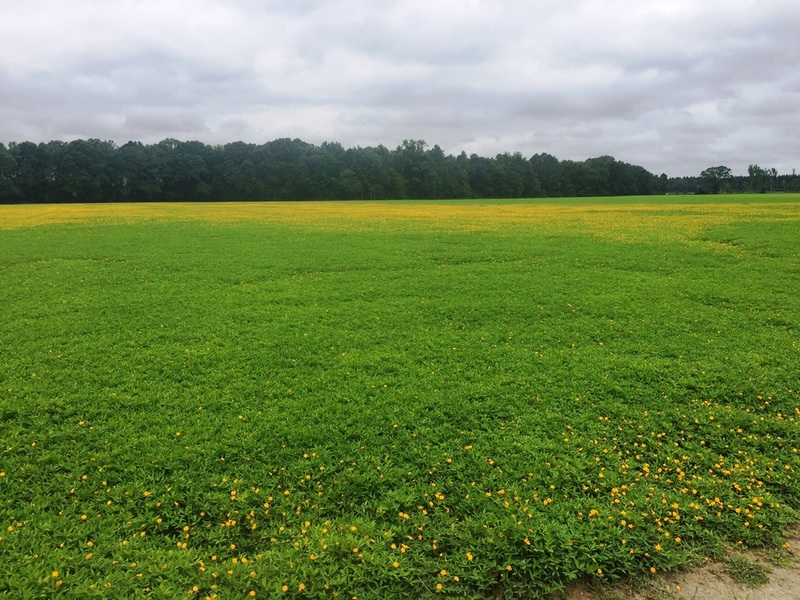 Perennial Peanut is locally available and well received by our herd; however, I’ve not been able to verify through lab analysis the Relative Feed Value (RFV) and Crude Protein (CP) that is advertised as normal in this forage. Grass hays in our area are usually Bahia or Coastal Bermuda. These are not sufficient for milkers. The local grass hay tests at CP and RFV less than the state average indicating that proper growing, cutting, and processing methods could be improved. One of my goals is to have a herd that milks well in spite of our difficult climate, less than perfect feed program, and demanding show schedule. I will not chase Top-10 status but expect the girls to milk above their breed average AND compete at 8-12 shows per year. A doe that can show often and still milk above average with a less than perfect environment and feed program is an animal worth breeding. I think our location is one of the toughest because we battle with food availability and climate. 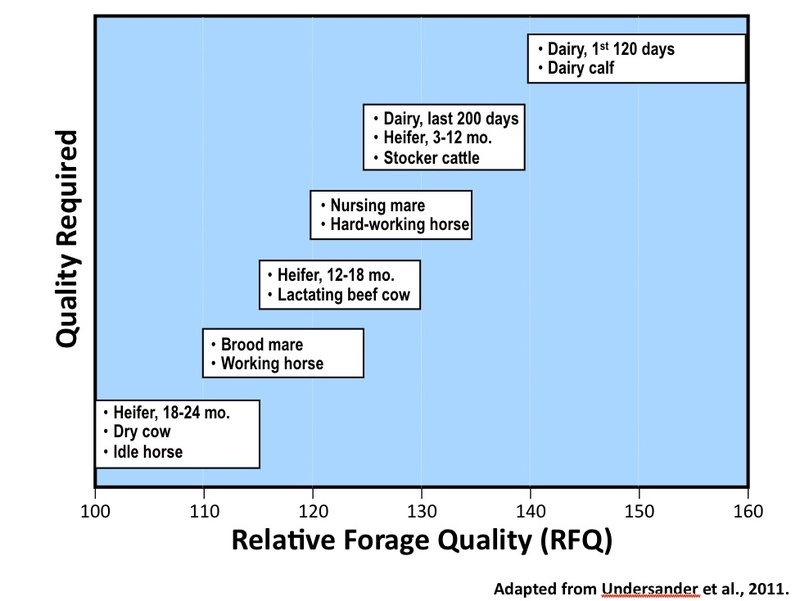 A doe that can milk above the breed average in our situation should perform exceptionally well in a herd with a cooler climate and more readily available dairy alfalfa. Participating in Dairy Herd Improvement (Milk Test) is one of the best tools we have as a herd. 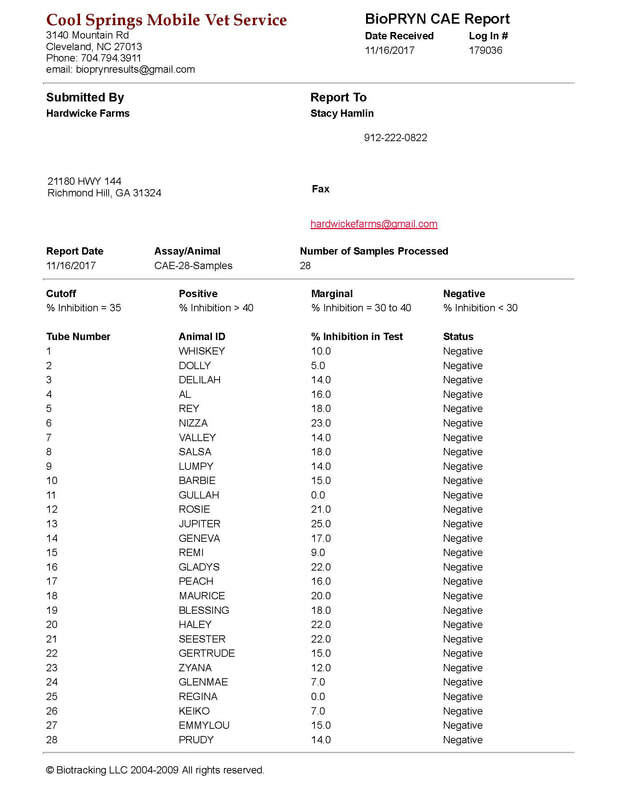 I send in milk samples and receive information from the lab monthly on each doe’s production amounts, butterfat and protein content, and somatic cell counts. I also have Milk Urea Nitrogen (MUN) analysis performed on each doe’s milk. That number helps me to determine if I am overfeeding protein, which is the most costly component of a feed. When I make feed changes in the herd I can see the results almost immediately in my milk analysis. Another great tool is forage analysis. I am fortunate that the lab that performs my monthly milk testing also has a forage lab. For $17 I can have my hay analyzed. Once I know the values of my forage, I can make additions or subtractions to my concentrates to get the herd where it should be for optimum performance. I’ve also recently started experimenting with a forage known as Sunn Hemp. Sunn hemp is adapted to a wide range of soils and performs better on poor sandy soils than most crops; which is fortunate because this is my exact soil profile. This is a 30% protein food source and I am eager to get it going on the farm to supplement less than adequate hay. Sunn Hemp was first grown in India and is a Nitrogen fixing crop. My first stand of Sunn Hemp came up right away and quickly grew to 4”-6” stalks. Unfortunately the deer found it and ate all the little shoots off as quickly as they came up. I am pretty sure the goats will love it if I can keep the deer out of it. We will continue to educate ourselves so that we can provide the highest quality feed at the best cost point with the highest production return.